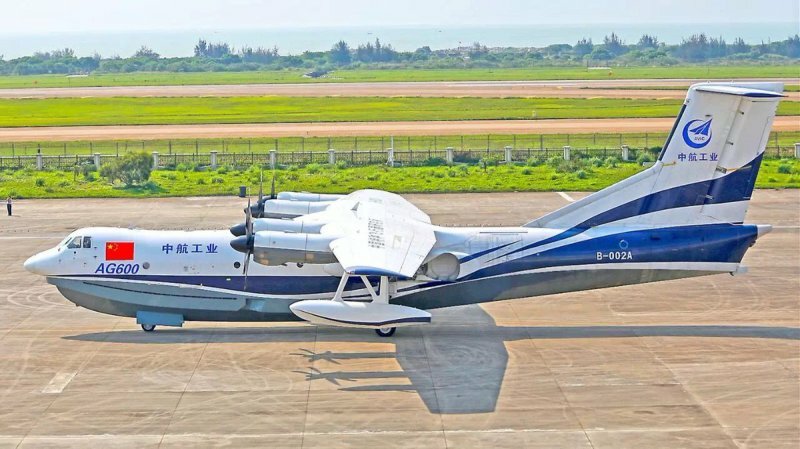 ZHUHAI, China --- The AG600, a large amphibious aircraft developed by China, has passed the official technical quality assessment for its maiden flight, according to the developer. Designed to be the world's largest amphibious aircraft, the 37-meter-long AG600 has a wingspan of 38.8 meters and a maximum take-off weight of 53.5 tonnes. The amphibious aircraft can be used for maritime rescue, fighting forest fires, marine environment monitoring and protection. It can collect 12 tonnes of water in 20 seconds and transport up to 370 tonnes of water on a single tank of fuel. Experts agreed that the plane is ready for flight. The aircraft developer said earlier this year that it has received orders for 17 AG600s.